If you get this message in LMTOOLS there is probably an easy solution. This is something I run into with the Autodesk Network License Manager version 11.14.1.3. (lmgrd) SLOG: Summary LOG statistics is enabled. 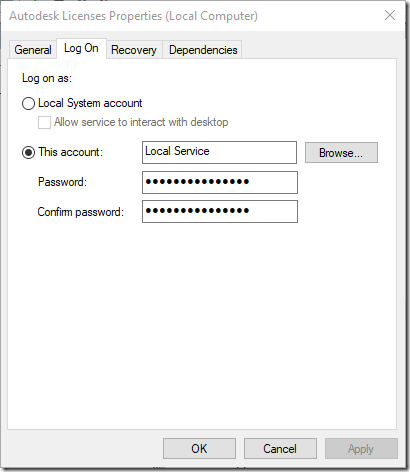 Right click on the service and select Properties followed by the tab Log On and note that Local Service account may be used. Change that to the Local System account and then start the service. Not sure why the wrong account is used when creating the service with LMTOOLS but it sounds like a bug. 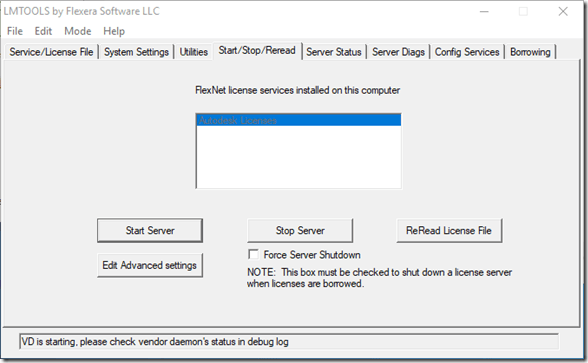 End process adskflex.exe and lmgrd.exe on Windows Task Manager, if any and try to launch the server again. Make sure the license file path in the Config services tab is correct. 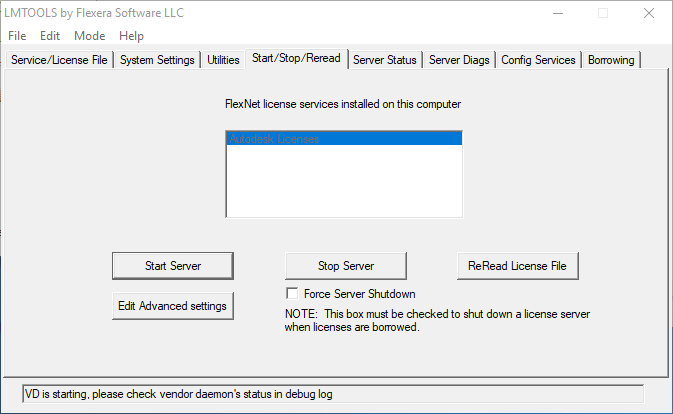 Make sure to click the option "LMTOOLS ignore license file path environment variables", and then try to restart the service. Make sure your antivirus software is not modifying the Windows services, e.g. "Sophos Endpoint Security" has been reported to cause the -1,359 error. If you now got it working and also would like to create license usage reports head over to JTB FlexReport.